When the paperboy popped a crisp Christmas edition of the Radio Times through the letterbox, you really could smell Christmas. Two full weeks of entertainment loomed. We'd set some time aside to lie on our belly on the lounge carpet and flick carefully through the pages to see what was on. To examine the New Year's Eve schedule too soon was to wish away the glorious days off to follow. Life then was a touch complex. Yes, TV schedules were included in the Radio Times, despite its name, but not a whiff of ITV. The TV Times just had ITV. It's tough to explain to a generation which presses doorbells with thumbs. The TV Times was a brash, showbiz, colourful offering; the Radio Times was a little more like a school work sheet, printed on what appeared to be tracing paper. Yet it was from the matt pages of the Radio Times where the magic sparkled. Not only did the BBC rule TV at Christmas, but also, we radio anoraks looked to the Radio Times to deliver an early insight into the seasonal radio schedule. And don't even begin to suggest we'd mark out in blue Biro the programmes to be consumed. Nope, the Radio Times was too precious for that. The journal would be handled gingerly throughout its working life, before being put to rest in a cardboard box on New Year's Day for posterity. What time would Ed Stewpot's Magic Carpet ride into our homes on Christmas Day ‘Junior Choice’ from Radio 1? When would Radio 1 programmes be carried in stereo? Remember too that BBC local radio editions were highly localised back then too, so we'd also be able to establish which bearded, bespectacled, bald gent had drawn the short straw for the Christmas Day shifts on our local station. 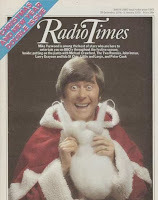 The Christmas ritual symbolised the emotional power of the Radio Times in our homes. In the days before anything much could be recorded and played back at will, this organ told us when we'd be free to live our lives; and when our radio or TV channels would demand our undivided attention. This chap despatched an Audioboo lament from afar with his memories of how much it meant to him. So it's not just me. covered just six radio stations, for that is all there were. It sold a quarter of a million copies. Publication was a response to the press’s reluctance to carry radio programme details, lest radio listening impact on press consumption. Arthur Burrows wrote the leader article on the front page. He was the chap who also delivered the first ever news bulletin. In 1934, RT inspired a song. An anthem simply called 'Radio Times', composed by Henry Hall, which is a bit like Gary Barlow writing one now. Again, rather like would happen now, the Newspaper Proprietors' Association complained against this propaganda; and the BBC gave in. TV was eventually to appear in the thing, of course, first heralded by a brief snippet in 1928 promising '11.00-11.30, 'experimental television transmission by the Baird process'. It wasn't until 1953 that TV was moved from the suffix to a full grown-up place alongside radio in the daily listings. 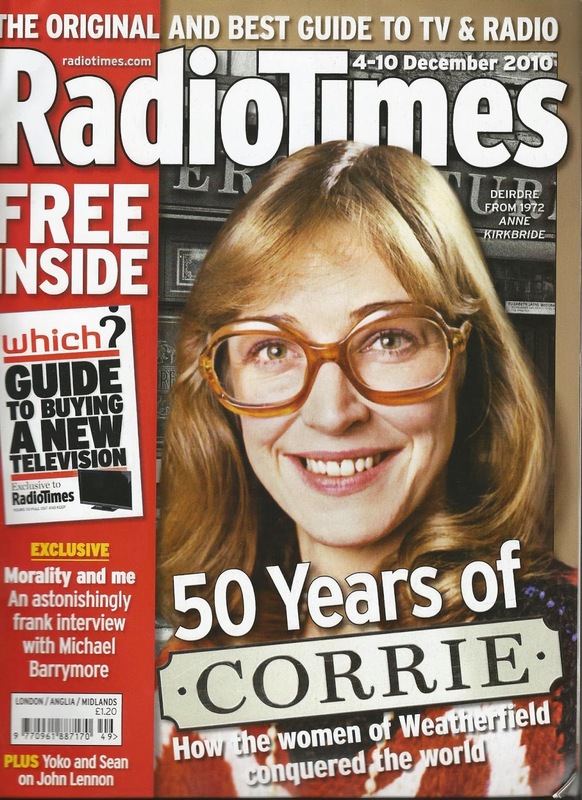 The Radio Times, a bit like the Carphone Warehouse, though, still retained its maiden name. The organ grew, before being shocked into Wartime changes, as so many things were. 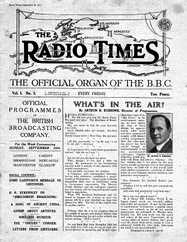 The programmes listed in edition 831 (3rd-9th September 1939) would never be enjoyed, as the BBC had hurriedly re-arranged its broadcasts when listeners disappeared into their Anderson shelters. Only one station was to be covered henceforth, the new BBC Home Service, so there was no longer much to write about. Good job really, as there was hardly any paper to print it on either: "all I can say is we shall do our best to bring you full and correct information about the doings and plans of the BBC". Radio Times writing is stuff of legend. Most of us who have struggled with writing detailed programme schedules of shows comprising just a gifted presenter and a few songs have wrestled with that very same challenge. Hence, over the years, we were treated to programmes which promised 'anything can happen, and probably will'. 'Plus the very best in music'. In fact, to this day, I often wonder why successful commercial music radio stations bother with full programme schedules on their websites. With the best will in the World, I suspect listeners do not hurry home to catch the start of the lunchtime show. The secret for these formats is programming not programmes; and the art is one show sounding much like the next. newspapers. In the early days of the industry, in 1974, a deal was nearly struck between the TV Times and commercial radio, although the commercial stations did baulk at the prospect of a £100 charge and walked away. 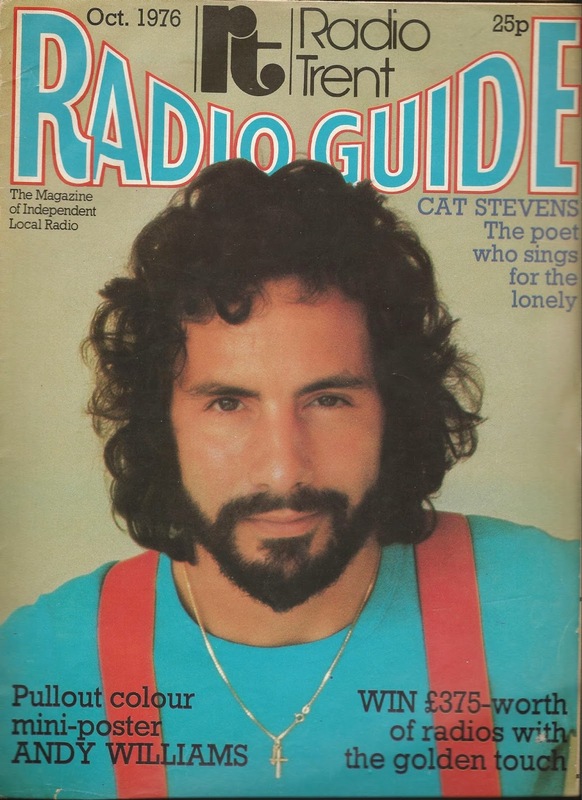 A few of us may remember the glossy commercial radio publications: 'Radio Guide' or 'Tune In', bearing exciting news of stereo music, ads for Grundig cassette recorders; and pictures of long-haired 'pop stars' wearing platform shoes. If you do remember those, and you're reading this, I suspect you may have kept a copy or two. As the Broadcasting Act 1990 came into effect, the listings monopoly was set to disappear; and from 1st March 1991, the Radio Times prepared to sully its pages with the dirty offerings from ITV, alongside the BBC's. A host of other publications joined the fray on the newsagents shelves. 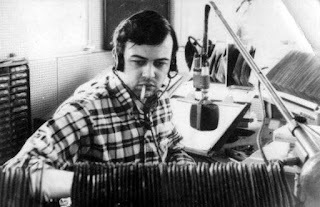 Despite the pressure on page-space, the then editor promised that he had "no doubts about the importance of radio (64%)", "and I guarantee that our coverage will remain second to none". 90 years on, Happy Birthday Radio Times. It's more colourful, the paper's thicker and no longer cut out with pinking shears. Like many things, it's not as big as it was, yet 800,000+ copies (ABC, July 2013) are not to be sniffed at. But like album covers, if you are of a certain age, just a glance at an old familiar Radio Times cover, laced with that curly writing. will send your heart home. 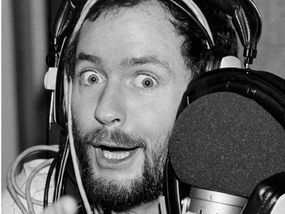 The wonderful new Kenny Everett biog* tells of that moment when Kenny Everett’s long-suffering dad scratches his head and puzzles why his little Maurice wants a second tape recorder. After all, he’d already got one. Anyone born in the analogue age will recognise that exchange. The first tape recorder was a huge step forward; one could record one’s favourite chunks of radio. Most people in radio recorded, not the songs, but the bits between them. Every song on the tape ended with a jerk, five seconds in. But your second tape machine was a further leap forward. It enabled you to copy and edit, albeit in a primitive way. I was so excited about my additional cassette recorder, to be given to me second-hand at the age of 13 as a Christmas present, that I’d loot the cupboard in my Mum and Dad’s bedroom, unwrap it carefully and play with it for a few hours before re-sealing it and placing it delicately back. Nevertheless, when Christmas day approached, I was still trembling with excitement. you can't change it. I also played with a bus conductor's outfit, but that was just a phase. 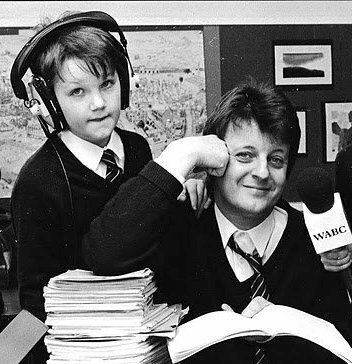 Lots of fun pictures on Twitter, of late, suggest just how many of today’s broadcasting crop knew what they might do with their lives fairly early on. 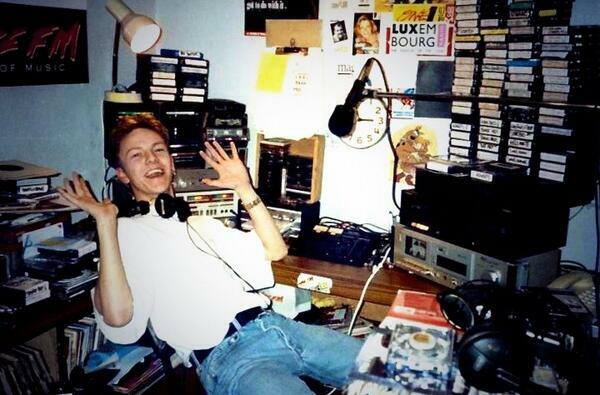 There they sit in 'radio bedroom' with short trousers and red sandals, by the controls of a cheap tape recorder. They were born to do it. 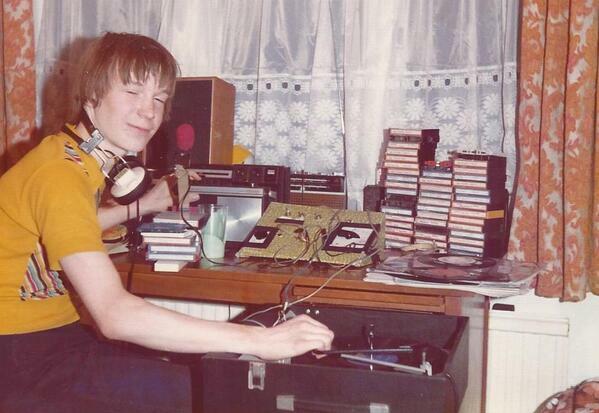 At the age of about 8, I’d be recording Pick of the Pops on a small 3” reel-to-reel recorder. At the age of 9, I was being recorded reciting a poem about the Great Fire of London into a BBC mic for Radio Nottingham’s brilliantly titled ‘Magic Microphone Club’. By 10, I was making and recording electronic noises and sound effects in my shed. I graduated to assembling radio shows, ‘broadcast’ down a long wire to a speaker at the top of the front garden; and to my friend’s neighbouring house. Not sure what they all thought of that. My pretend station was called 'Radio Anchor'. The pronunciation of its name took on a new meaning after puberty, and a re-brand was needed. genuinely in sticky-backed plastic. Valerie Singleton has a lot to answer for. This enabled me not only to play bits of audio, it meant I could add me on top of them, thanks to a cheap mic, armed with a red pop shield. 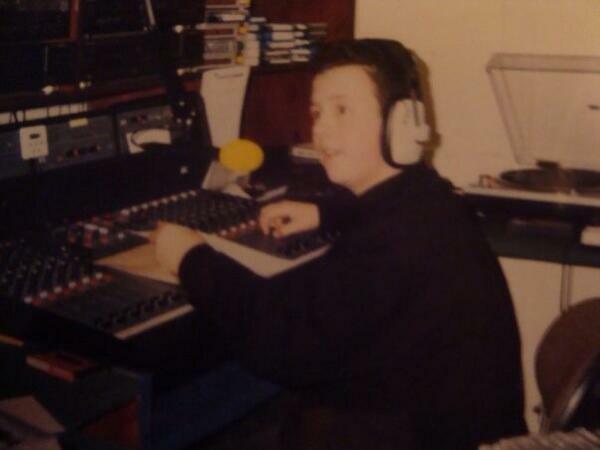 By 16, I was winning jingle competitions on the BBC. Well, I won one. They wisely only ever had one. Reading this Kenny biog reassures us all how normal this behaviour is for a radio bod. 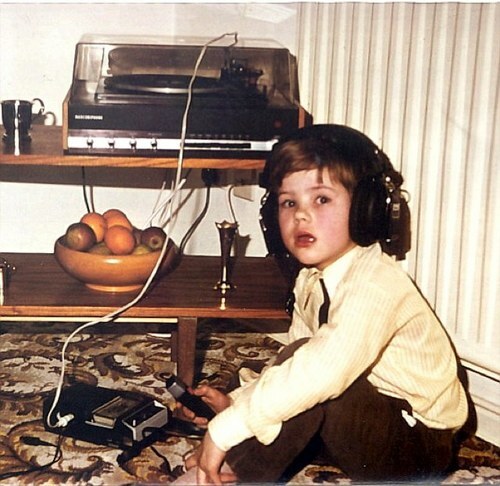 So many people who love radio grew up on it. Listening, playing, experimenting, dubbing, editing. Thinking. Witness Chris Evans's tales too. 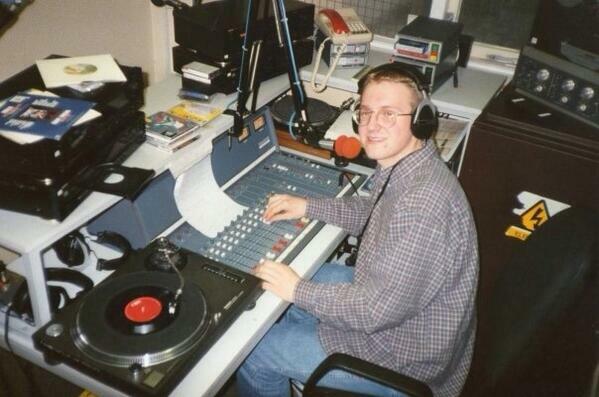 In those days, one dreamed of a career in radio, but it seemed just that. A dream. My careers teacher handed out a single sheet on ‘media’. In those pre-photocopier days, it was printed in turquoise ink on one of those Banda duplicators. The only useful thing about that sheet was that the print smelt nice. I recall some studies that suggested that those people who do better than average in any given field have simply often had a head start. They’ve been interested longer. And when it’s such a competitive field, average is not sufficient. Eric Morecambe was on stage as a kid. Many great sporting figures have been playing since a little’un. I guess it’s no accident that Scott Myers is in radio, with Master Control rather than Scalextrix in his garage. There is more than one generation of Blackburns in radio-related fields; and Parks; and Wyers; and the list goes on. Rather like learning a language, it’s probably easier when you are young to acquire that ’ear’. Some wannabes say to me: ‘I think I’m interested in a career in radio’. I smile. When they just say to me ‘I’m thinking of meeja’, I fear I cannot muster the same tolerant smile. If you love radio, you bloody well know about it.